It’s Cook Islands Language Week and we’re celebrating by sharing a little about some of the inspirational Cook Islanders featured in my book Cook Islands Heroes. The aim of this book is to inspire Kuki Airani young people and anyone else who loves reading stories of people who overcame great challenges to achieve their goals in life. Today’s Cook Islands Hero is Margaret Matenga. Margaret was one of the best netball players in the world during the 1980s. 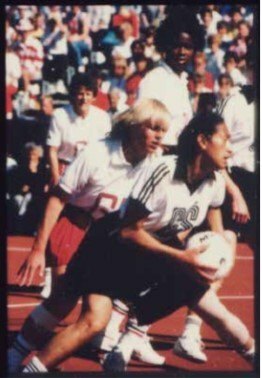 Her style of play had never been seen before and changed the way other goal shooters played. But growing up in the Cook Islands, she had never even heard of netball and if her dad had his way, she might never have walked on to a netball court at all. When Margaret was young, her dad saw her athletic talent and thought she could become a great tennis player. He trained her every day with that goal in mind. He sent her to Auckland when she was 17, hoping she’d find a tennis club to join. But Margaret didn’t find a tennis club and moved to Wellington because she had family living there. 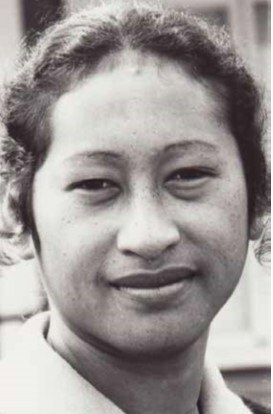 In 1978, Margaret became the first Cook Islander and the first Pacific Islander to play for the Silver Ferns. “I was really proud of that,” she says. Margaret took time off from netball in 1982, when she and her husband had their first child. At that time it was rare for women to return to international sport after having children. Margaret must be one of those rare ones because she was back in the Silver Ferns the following year. But just when she was finding her rhythm again, she ruptured her Achilles tendon. A lot of athletes struggle to come back from such a devastating injury. Not Margaret. She trained harder than ever and made it back into the New Zealand team within a year. This was a golden era for New Zealand netball. They won the 1985 World Games Tournament and the 1987 World Championships. Margaret’s goal shooting was one of the reasons the Silver Ferns were so good. “She was a goal-shooting genius, the best goal shoot in the world,” said her teammate, Margaret Forsyth. Going home also meant she could help young Cook Islands sportspeople. She wasn’t done playing either. She became player-coach of the Cook Islands national netball team, The Black Pearls. They came fourth at the 1989 World Games in Germany, the highest ever placing by the Cooks in an international netball tournament. Margaret was almost forced to retire in 1990 when she was bitten on the finger by a poisonous stone fish. But did losing half a finger stop her from playing the game she loved? No way! She came back and represented the Cooks at the 1991 World Championships in Australia where they finished fifth. Want to read about more Cook Islands achievers like Margaret? Check out Cook Islands Heroes on sale for a special Cook Islands Language Week price right now!